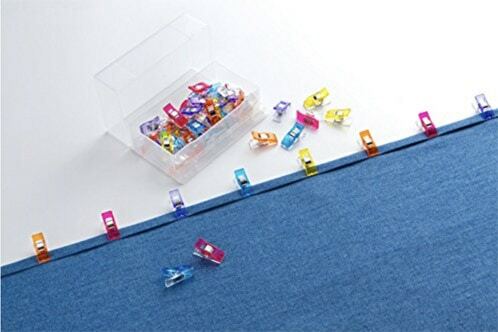 These Clover assorted-color Wonder Clips (Rainbow 50 pack) are ideal for seam binding and many other crafts. They are easy to see and find if dropped on the floor. They open wide to accommodate several layers of fabric. Because they eliminate pinning, they are perfect for sewing on vinyl and laminates.